Law firms are adopting new technology in wide variety of ways, contradicting the received wisdom that they have been slow to embrace change, according to a new report. It found that while often careful about which innovation strategy to go for, law firms frequently had good reasons to move methodically in a fast-moving tech market. While some pioneering law firms had decided firmly, for instance, on adopting artificial intelligence (AI) technology, others were waiting until its cost advantages over outsourcing were more certain before taking the plunge. 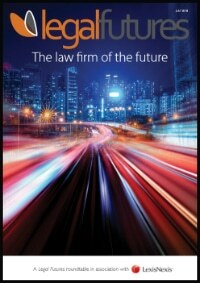 Jomati Consultants’ report, Law firm innovation and the use of legaltech – a reality check, interviewed ‘innovation leaders’ around the world and found that many corporate clients expected their law firms to decide on which technology to deploy and were more interested in outcomes than the mechanics of how to achieve them. Jomati interviewed 29 innovation heads from 24 practices and “explored the innovation and legal tech strategies of dozens more law firms”. 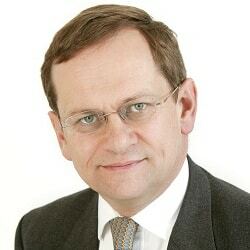 The company’s principal, Tony Williams, said: “It is often said that the law firm partnership model hinders the ability of the legal sector to embrace change. The examples we offer in this report suggests this proposition is dubious, at best. The report found many firms seeking a return on their tech investments by either taking a stake in lawtech start-ups, or hoping to sell their expertise to other law firms. It also found that law firms were starting to hire more technology specialists and universities were increasingly offering legal tech and innovation-related courses. Drilling down into the way law firms approached tech and innovation, Jomati confirmed more were employing dedicated ‘innovation heads’, regardless of the firm’s size. 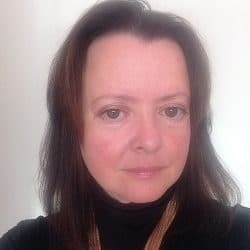 However, those that shunned creating a specific role explained it was because they wanted the whole firm to buy into transforming the business. Some firms drove innovation from the top, according to the views of leadership, while others invited ideas from all levels of the firm. Whether innovation could make a tangible return was often the deciding factor as to whether it was adopted. Some firms had enthusiastically embraced running lawtech ‘incubators’ and those that had done so were generally positive about their experiences. Others looked to outside software providers to deliver solutions, or combined products to match their needs in what was known as ‘innovation via bricolage’. Most firms positive about their own incubator-hosting had used the experience to benefit their firms directly. Firms that had declined to adopt AI technology said the calculations did not yet justify the move, because of the relatively high initial cost of buying in and training the software. A typical response was: “It’s still cheaper for us to do a lot of our work in our low-cost location than to get the machines to do it. The report was published on the same day that London firm Mishcon de Reya announced that it has invested in Thirdfort, one of the start-ups in its incubator this year. ThirdFort works with lawyers to securely hold money during property transactions and only recently announced a successful £400,000 pre-seed funding round. ThirdFort is also working with the Land Registry, which has included £20,000 of grant funding via its Geovation Hub, and mortgage lenders and estate agents. A pilot with Mishcon is expected to be run before the end of the year. Mishcon de Reya invested in two companies from its 2017 incubator cohort: time recording software PING, which has since gone on to secure funding from some of the top venture capital firms in the world; and case management platform Everchron, which has just begun its Series A funding round.